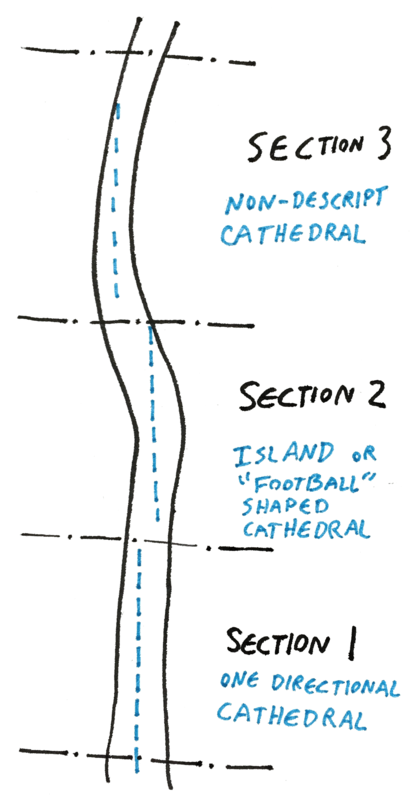 The Cathedral is the resulting grain structure after a log has been flat-sliced or “flatcut”. It’s called this due to its resemblance to a cathedral. 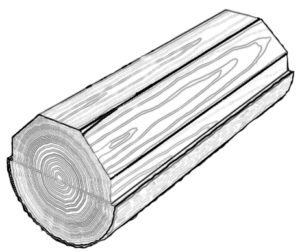 As pictured, the log is sliced in half and then further sliced into veneer starting from the outside of the trunk moving inwards. The size and shape of the cathedral will depend on the size and shape of the trunk and not all trees grow perfectly straight. In fact, it’s rare for a tree to ever be perfectly straight. There is usually some bend each growth period. 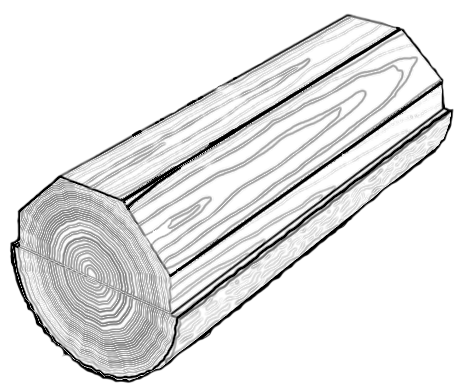 The diagram below shows a tree trunk being sliced into three sections. Each section will be fashioned onto the slicer seperately. Due to the irregular growth of the tree, each section will result in a different type of cathedral structure. 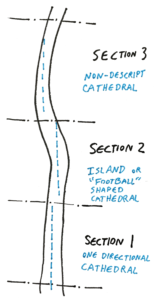 While the One-directional cathedrals is most desired there are spectacular projects which utilize all parts of the cathedral coming from one log. 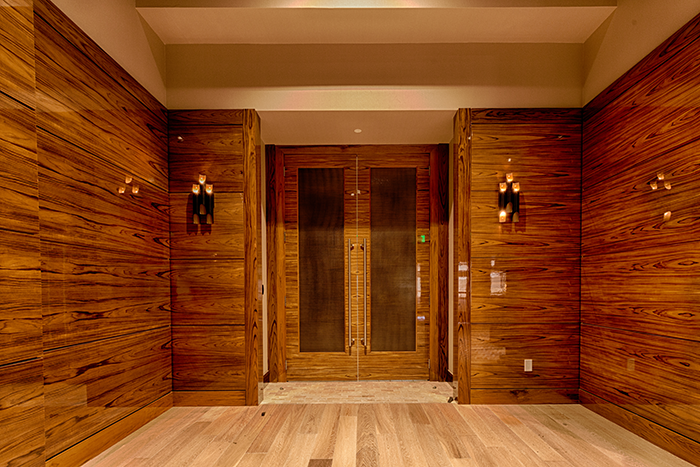 Below is a project by Indiana Architectural Plywood in which an entire Teak log was used in a cluehouse corridor, creating visual interest with its variety as well as driving the visitor forward with the horizontal application.